Natalia was born in Astrakhan, in 1989. When she was 6, the girl started to study regularly three disciplines in the Experimental Music Center of the Musorgsky Astrakhan Music College: piano, composition, and vocalism. In 2013, she graduated from the Tchaikovsky Moscow State Conservatory with two degrees: piano (class of Professor Yury Slesarev, the People's Artist of Russia) and composition (class of Professor Alexander Tchaikovsky, the People's Artist of Russia). 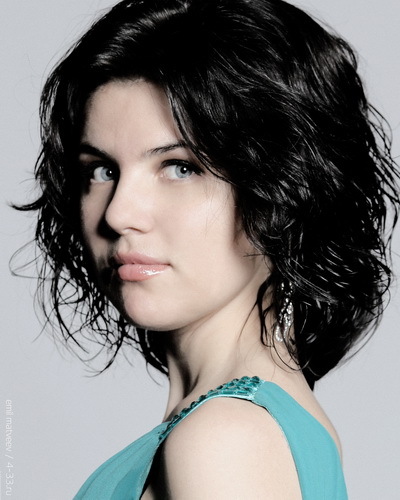 In 2013, she started a postgraduate program of the Tchaikovsky Moscow State Conservatory (class of Professor Yury Slesarev, the People's Artist of Russia) and received a grant to study at the Royal College of Music in London (class of Norma Fisher) and the Higher School of Music in Paris (class of Marian Rybitsky). 2000 - 1st Prize at the 7th Esenin All-Russian Competition for Young Russian Composers “Ryabinovie Grezy”. 2006 - 1st Prize in piano category at the “Savatek Yara” International Competition (Czech Republic). 2007 - Grand Prix of the International Competition of Chamber Ensembles (Krasnodar). 2008 - 2nd Prize of the International Piano Competition "Path to Mastery" (Moscow), Grand Prix of the Camillo Togni International Composition Competition (Italy). 2013 - 1st Prize at the Ricardo Vines International Piano Competition (Spain). 2015– 3rd Prize of First Gershwin International competition (New-York, USA); 2nd Prize of International piano competition «Nuova Coppa» (Italy), 1st Prize and prize and audience award of International piano competition MozArte (German), 3rd Prize of International Piano Competition «Cidade de Ferrol» (Spain). Many times Natalia took part in the various festivals both in Russia and abroad. She has a special scholarship of the President of the Russian Federation, scholarship of "Russian Performing Art", "New Names", Mstislav Rostropovich Foundations. The young pianist played in the Grand, Small, Rachmaninov halls of the Moscow Conservatory, as well as in the other top music venues in Moscow. She took part in the master-classes of Dmitry Bashirov and Alexander Sandler. Since 2010, Natalia has participated in the Saint-Petersburg Music House programs.